Growing Community Connections (the Funder) seeks a Community Project Manager to coordinate planning, building and rollout of a non-profit Community Resources Center that will enable families, youth, and children to access high-quality services that support the needs of our community. The successful applicant will lead a six-month planning process, with the expectation that this opportunity could extend through an additional year implementation process, subject to available funding. 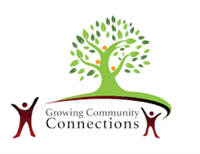 Growing Community Connections seeks a qualified consultant to serve as internal Project Manager. The Project Manager will be responsible for ensuring that the project is delivered on time, within scope and within budget. Growing Community Connections (GCC) is a community collaborative that unites partners from non-profits organizations, businesses, schools, churches, cities, counties and families for the purpose of improving the quality of life for the children, youth and families in our communities. Nebraska Children and Families Foundation provides much appreciated funding as well as many professional supports. Facilitation and fiscal services are provided by the Siouxland Human Investment Partnership (SHIP). Both of these agencies, along with our wonderful partners, ensure a successful collaboration that is having a powerful impact on families. GCC uses the Collective Impact approach to solve many of today’s complex community challenges. GCC expects the Project Manager to lead planning activities from April 22nd, 2019 through September 30, 2019. The expected time-commitment to this project is roughly 20 hours per week. Subject to available funding GCC expects to extend the contract with the Project Manager for an additional 6 months during the implementation phase. Bidders interested in providing these services should submit proposals to Siouxland Human Investment Partnership (SHIP), 1520 Morningside Avenue, Sioux City, IA 51106, no later than 3:00 p.m. (local time), April 5th, 2019. Any proposal received after this deadline will be rejected and returned to the Bidder.